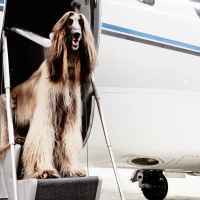 How to fly a pet on a private jet? When you fly on private jets, pets can join their owners on board, in fact, they can sit on their side all flight long. A Fine Fur experience for indulged pooches! Ideally, any type of pet is welcome aboard the jet, however, their transportation might be denied by the authorities. Rules ad regulation about animals are as strict as passenger’s. Is therefore necessary to inform us, so we can double-check for you and find out what is allowed and what’s not. A good starting point is the pet’s passport and identification microchip. All vaccination must be recorded in there, and for some destination you need an anti-rabies treatment not older than one month prior the flight date. 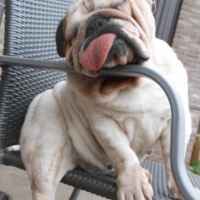 We would like to remind you that a complete travel documentation of your pet is under your responsibility. Some isolated island such as Hawaii, and other countries like Australia and New Zealand also include a mandatory quarantine for any pet who arrives into the country as prevention for diseases which doesn’t exist in their territory. Please ask to your customer care team for detailed requirements according to your destination. During the booking procedure, let us know about their favorite food, we can provide them for you, as well as toys and pet’s pads. Once on board of your private jet, seat back and relax: you can rest assured your pet will enjoy the flight as well. Copyright © 2019 All Rights Reserved by Fast Private Jet Srl.